For the first few days of each year, Tokyo is relatively quiet. Businesses are shuttered for the New Year’s holiday, and many of the city’s inhabitants retreat to family homes in the countryside to unwind with loved ones. 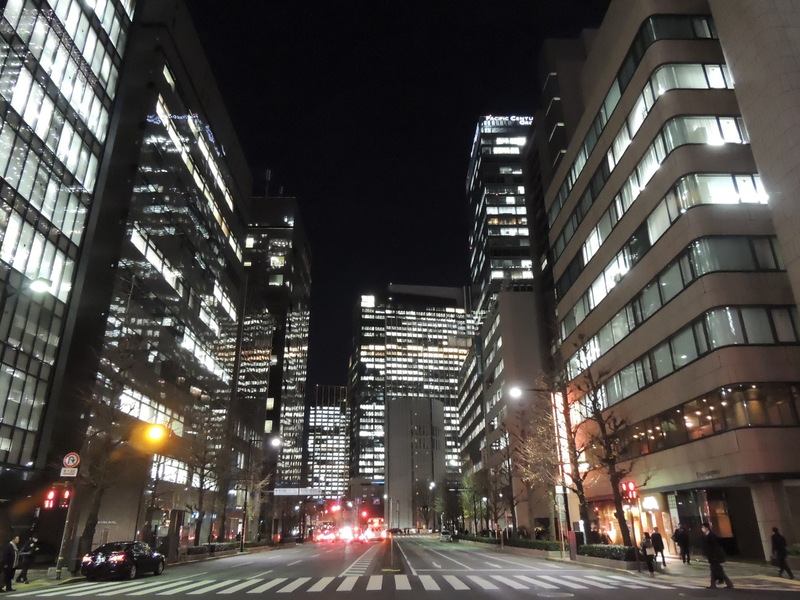 Neighborhoods that are typically crowded with office workers, such as Yaesu, east of Tokyo Station, become ghost towns. However, it isn’t long before workers return to their daily grinds — and watering holes. 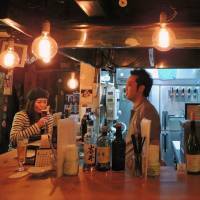 In Yaesu, bars are plentiful, including conventional standing bars and traditional izakaya taverns. 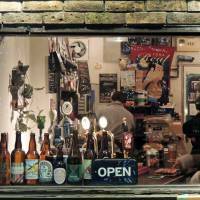 But I’m not here for the conventional and traditional; I’m looking for Yaesu’s best craft beer bars. I make my way down drab side streets in the mid-afternoon cold and feel the eyes of distracted salarymen newly returned to work peering down at me from the glass-faced offices. The sky is crystal clear but the bone-cutting wind hurries me into Swan Lake Pub Edo, an outpost for Niigata Prefecture-based Swan Lake Beer with 32 taps featuring Swan Lake brews and guest beers from around Japan. It’s 4 p.m. when I take a seat, which gives me a head start on the post-work crowd, but a few other afternoon merrymakers converse quietly over tightly held glasses. Happy hour promises ¥800 pints of Swan Lake Brew’s regular beers, but I’m too intrigued by their seasonal offerings to take advantage of the cut-rate prices. One of those special’s is the Big Daddy Imperial Red Ale, a tribute to Masaji Oshita, former president of Minoh Brewing Co. and godfather of beer brewing in Japan, who passed away in December 2012. It’s an inspired way to honor a man who did so much for the blossoming industry — every sip is a glass raised in his honor. I order a half pint of the 2015 and 2016 Big Daddy to see how the beer has matured. Such “vertical tasting”— a term borrowed from wine tasting in which the same wine is compared across vintages — is linked to the rising popularity of barrel-aged beer. Both versions of the Big Daddy have undertones of rye with pungent, piney hops, but the 2015 vintage is clearer and rounder on the palate, with a slight sweetness akin to burned sugar. Between sips I snack on house-pickled vegetables made with Swan Lake’s Golden Ale. 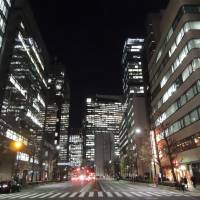 The sky outside has turned a deep purple, and I make my way south through Yaesu’s grid of streets that catch the electric light from office windows above. 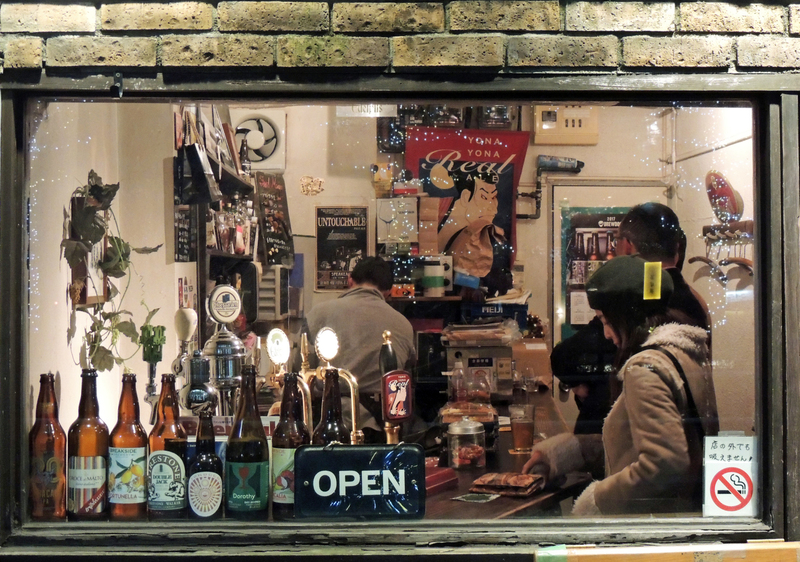 I enter Towers Craft Beer Bar, a tiny Tokyo institution, which has just celebrated 12 years of operation. The standing bar only accommodates about half a dozen patrons at a time, and I luck into the final free space near the door. The beer selection is equally small: five taps. What Towers lacks in space and selection it makes up for in atmosphere. Beer paraphernalia adorns the walls and shallow shelves behind the bar, and Led Zeppelin plays in the background. Towers’ tap selection changes frequently and can feature some unusual beers. The Passionfruit Sour Ale from Breakside Brewery in Portland, Oregon, is lip-puckering with a dominant passion fruit flavor — a brief tropical reprieve from a cold Tokyo winter. However, Towers staff and regular clientele are notorious for giving the cold shoulder to drop-in interlopers such as myself. I reach the bottom of my pint and “Ramble On” plays me out. The streets are filling with a stream of workers that have begun to vacate the offices and seek bar stools below. On a street that runs between Yaesu and Ginza is Craft Beer Bar iBrew and its newer sister bar, iBrew Wired. Each sports a different tap list and menu, but the original iBrew is the more charming. Its cramped open kitchen keeps the compact space toasty and warm, and the low incandescent lights bounce off of brass fixtures, creating an inviting glow. It’s the alehouse equivalent of a cozy fireplace and, despite the chill outside, is relatively empty when I arrive. Before I can even get my coat off, I’m gifted a small glass of cloudy nigori sake from Sekinoichi Brewing, the Iwate Prefecture sake brewery that also owns and operates the Iwate-kura Brewery, followed by a hearty “akemashite omedetō” (“happy new year”). I chase my sake with a glass of Akita Ginjo Beer from Akita Prefecture-based Aqula Beer. Made with sake yeast, the Akita Ginjo Beer is bright and refreshing with light tropical fruit tones overshadowed by a unique yeasty flavor. Both iBrew and nearby iBrew Wired have only 10 taps, but these rotate frequently; their half-sized kegs are drained almost daily. As I settle in with my beer, the afterwork crowd finally catches up with me and quickly occupies every seat at the horseshoe-shaped bar. Over the next few hours, smiling customers, unraveled by drink, rub elbows and swap beer recommendations amid the din of the crowd and the scent of a well-greased stove top. I wash down a top-notch shepherd’s pie with a glass of Orange Weizen, a collaboration brew between iBrew and Michinoku Fukushima Brewery that tastes of fresh wheat and tart tangerine. Warmed to the core, and with the time for the last train of the night nearing, I bid the bar goodbye and head back into the cold with the other workers. 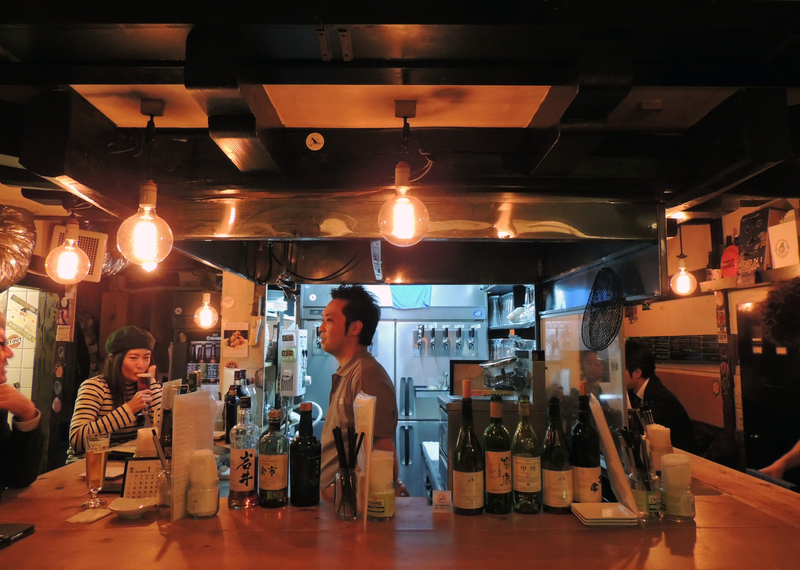 The craft beer bars in Yaesu aptly fit the neighborhood’s mold — each a small retreat from the hectic offices that surround them. There’s little else in the neighborhood to make it a destination for an evening out, but with so many workers stopping off on their home, these craft beer bars have been able to carve out a place for themselves amid the concrete jungle. Each has something different to offer — Swan Lake’s artisanal ale’s, Towers’ minimalist mode and iBrew’s homespun allure — that makes Yaesu worth the trip for beer lovers.